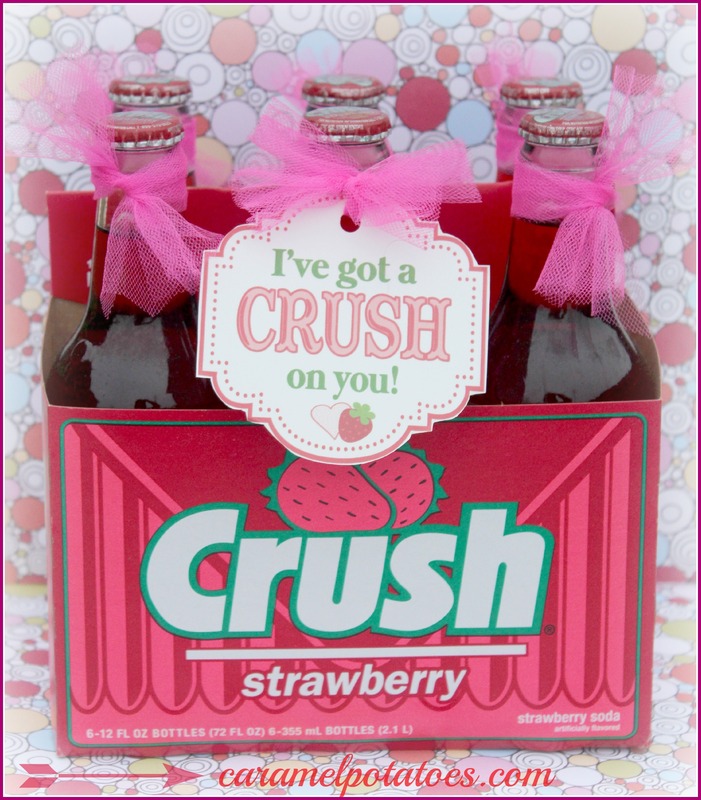 Valentine’s Day is fast approaching – any plans yet? If not, I love this fun and easy way to spice up your dinner table. You don’t even have to turn the oven on for this one! Of course I’d recommend you serve it up with some Tenderloin Steaks and Fondue for Two, or maybe Red Velvet Crepes . 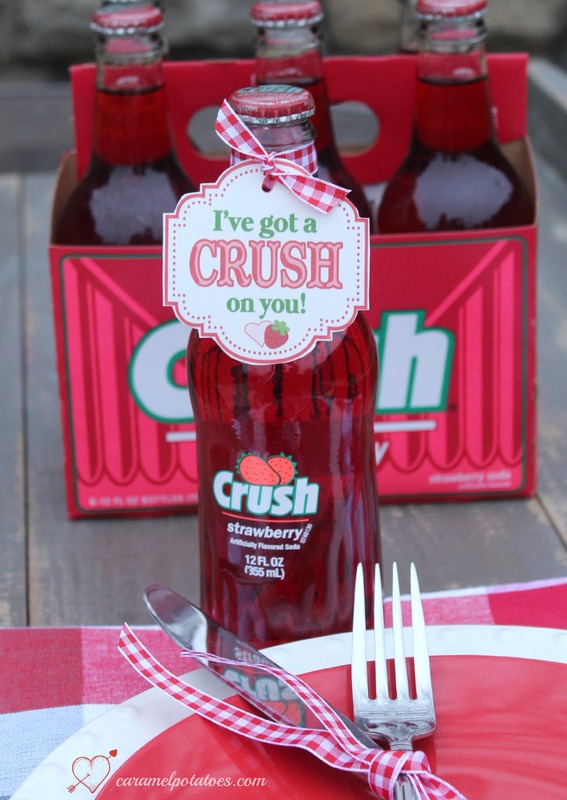 . . if that doesn’t work out, Papa John’s has heart-shaped pizza on Valentine’s Day- that would be perfect with your Strawberry Crush! We’ve made smaller tags for individual bottles that would be cute for your family dinner or a larger tag if you want to give the six-pack! 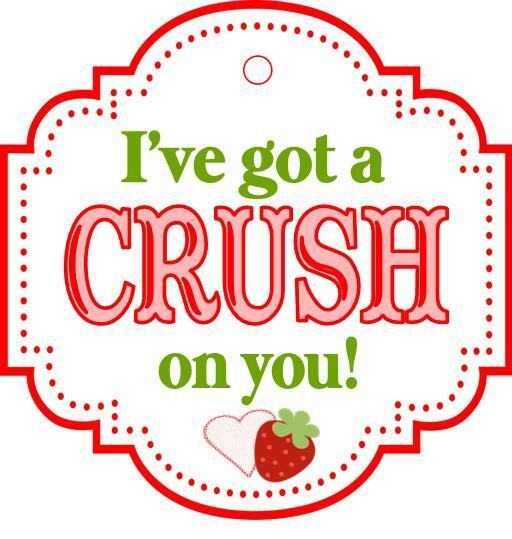 Find more Valentine Printables HERE or follow us on Pinterest. Follow caramel’s board Printables from Caramelpotatoes.com on Pinterest. Thanks for making this so easy for us! Love the printables.